Having to deal with a collision and all the repairs that come afterward is not anyone’s idea of fun. 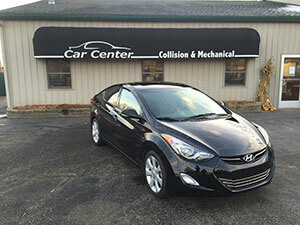 The Car Center in Cedar Springs, MI is here to help you through this unfortunate process. We want your experience to be as worry free as possible. Fixing cars is our job, but helping people is our business. 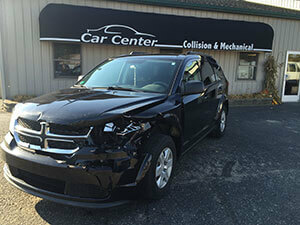 Collision repair is our specialty and we can fix everything inside and out. 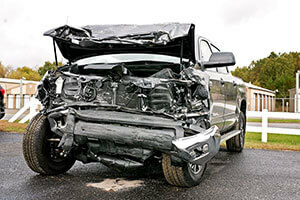 Whether you have been involved in a major accident or a small fender bender, our ASE Certified Technicians will walk you through the entire collision repair process and answer any questions you may have. 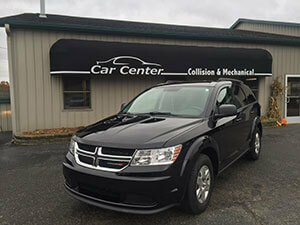 Car Center is you one stop shop when it comes to mechanical repair and auto body repair. Not only can we restore your vehicle’s exterior to pre-crash condition, but also can make it run like new again. 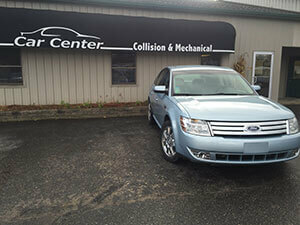 We have been awarded the Blue Seal of Excellence from ASE are an I-Car Certified collision repair shop. Only 1 in about 300 shops can say that! Our Technicians have all the latest tools and diagnostic equipment available. While your insurance company may say, your car is not worth fixing; the repair just may be worth more than the estimated value. That does not mean we cannot fix your vehicle. Let Car Center inspect your vehicle and see if we can revive your old vehicle. If you have been involved in a fender bender or backed into something, no problem, we have you covered. 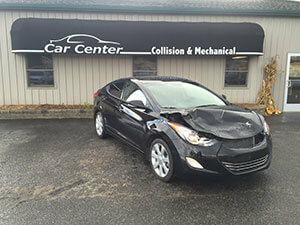 We can perform major and minor dent repair. If the dent has not caused damaged your paint job, we can use our paintless dent removal process. 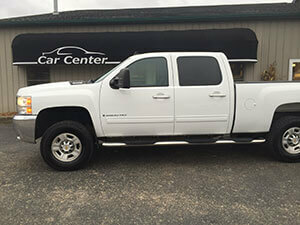 Bring your vehicle in for an estimate today. Be Knowledgeable and Stay Informed! We make accident repair and keeping track of your vehicle easier than ever before. We keep you informed of everything going on with your collision repair when it happens. One of our techs will contact you via text or email whichever you prefer. Not only can you receive text messages and emails but pictures and real-time updates as well. If you have any questions during the repair process, you can contact us the same way. 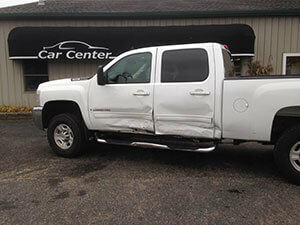 This is just one more way we help your accident repair process go smoothly. 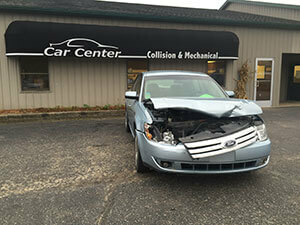 For dealership quality collision repair come to Car Center in Cedar Springs, MI. We will make sure your car is fixed right the first time. We offer a 12,000 miles / 12-month guarantee on premium auto repair parts and labor. We have a free local shuttle service and loaner cars available for your convenience. Schedule your appointment online today or call (616) 696-1830 and don’t forget to check out our specials page for valuable savings on your next visit. Our estimator will inspect your vehicle and begin to document the damage in the form of an estimate. Your schedule date will be set for drop off. Upon receiving approval, we will order the necessary parts to begin the repairs. On some vehicles, parts delivery may take longer. You will be notified of any delays. At this point, your car will be assigned to a technician. They will disassemble the car and review the estimate, recording any damage. We will then prepare a supplement and submit it to be approved by your insurance company. Once the supplement has been approved, any necessary additional parts will be ordered. We will continue with the repairs. Once the repairs to the body have been made, your vehicle will move into the paint department. Most vehicles take approximately two days to paint. Your vehicle will then be returned to the technician where it will undergo final assembly. When your vehicle has completed the repair process, it will be cleaned and restored to pre-accident condition. A final quality check will be completed at this time. To ensure the vehicle meets our high standards. Your job is complete, and pick up will be scheduled.